So, as a huge movie buff, one of my favourite things in the world is discovering a little cinematic gem of a film that I was previously unaware of. The feeling of stumbling across a movie that not many people had heard of, but deserves to been seen. As such I’ve decided to introduce a new segment called “Hipster Film Club” in which I shed some light on little-known films you should totally check out. These reviews will be a little bit shorter than my normal stuff and I won’t be giving them a numerical score (as only films I think you lot deserve to see will feature in this series). With all that out the way let’s get started on the first film! 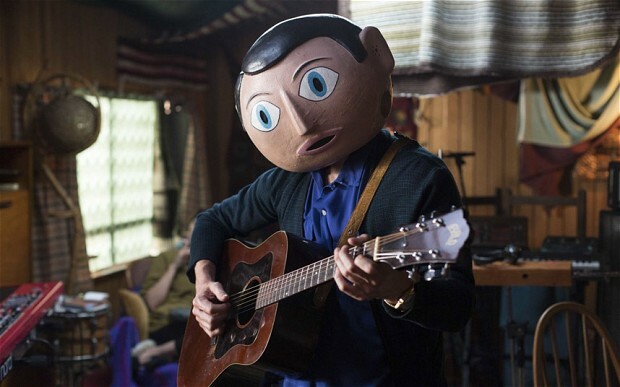 Frank is a 2014 dark comedy/drama starring Michael Fassbender, Domhnall Gleeson, and Maggie Gyllenhaal. Domhnall Gleeson plays a down on his luck musician in need of inspiration. His life changes when he gets the chance to play keyboard for an experimental band called “the Soronprfbs”, fronted by the eccentric “genius” Frank (Michael Fassbender). As he gets more and more involved with the band and recording their new album, the lines between musical genius and insanity become more blurred, leaving the audience to question “is Frank visionary or is he just mad?”. I’m not going to discuss the plot any further, as doing so would ruin the eccentric and quirky feel of the film that is arguably one of its best features. One of the things that struck me right away about Frank is how truly unique it is in terms of its tone and humour. It’s the kind of film that deserves your attention all the way through in order to get all of the little bits of deadpan humour and throwaway gags. It’s quite a British comedy in terms of it’s sensibilities and in a way reminds me of the 2010 film “Four Lions”. However “Frank” is far more subtle in its jokes than Four Lions, with most of its dark humour being based around the sheer lunacy of the members of the bands and the witty dialogue between characters. The film does have its incredibly dramatic and quite tragic moments at times, focusing on insanity, madness and mental breakdowns, but it still manages to maintain its quirky tone which prevents it from becoming too depressing. It’s the type of film that is able to be incredibly funny, but also really heartfelt and deep. Every actor in this film delivers their “A” game for this film which is a rarity in cinema. Normally there’s at least one or two people on the cast who are miscast or don’t deliver their best. This is not the case for Frank. Every single performance in this film is incredible, from Maggie Gyllenhaal’s confusing love-hate persona, to Scoot McNairy role as a conflicted musician. Domhnall Gleeson does a really good job at acting as our guide into the strange world, giving us a reference point to focus on amongst the madness. All of the characters in this film are just so interesting and for me they completely make the movie. However, out of all of the characters and performances Michael Fassbender as the character Frank really stole the show. Fassbender has given some great performances and is an actor I really respect, but for me Frank has to be my favourite role of his to date. Part of this is because the character of Frank is just so damn intriguing. He’s by far one of the most interesting characters I’ve seen on screen in recent years. He wears this giant papier-mâché head for most of the film and what it means is that so much of his character is a mystery to the audience. I really can’t put into words what the character of Frank is like, as he’s really like nothing I’ve seen. He’s completely hilarious, random, barking mad and just plain awesome. I found myself just wanting to be inside his giant paper head. That’s a real testament to the writers and to Fassbinder himself for making a character that is so strange but yet also so heart-warming. Till Next Time – DUDE OUT! !